One item that I can almost always guarantee that will be brought up in design meetings is paint and material color. For some reason, choosing a color scheme for a project cripples even the most vocal of clients. This may sound incredibly mean but there are times when I think if it weren’t for most homeowners debilitating fear of choosing paint color, half of the interior decorators out there would run out of work. Now, I know that is a low blow and a cheap shot – but shoot me, I still think it’s true. You can hate on me in the comment section if you like but I will take the high road and ignore any names that get thrown my way – unless they rhyme with “you are right” and they’re spelled the exact same way. 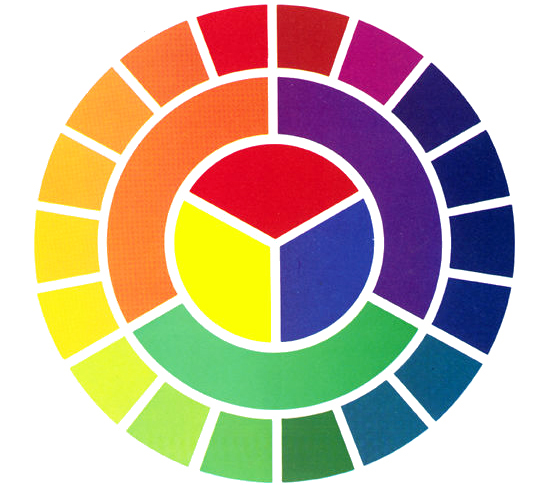 This is the humble color wheel – you can find them much larger but for our purposes, this is an adequate size wheel to have our conversation. In this diagram, I have highlighted the “warm colors” of the color wheel. Color Theory will tell you that warm colors tend to “advance” in a space but that just means that they make the room feel smaller. In this diagram, I have highlighted the “cool colors” of the color wheel. 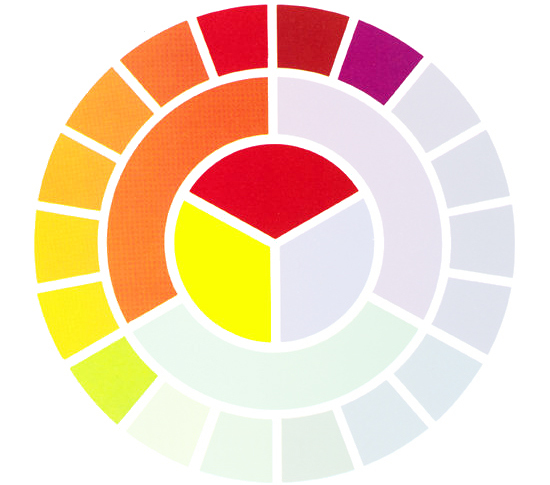 Color Theory tells us that cool colors tend to “recede” in a space … or make the room feel larger. 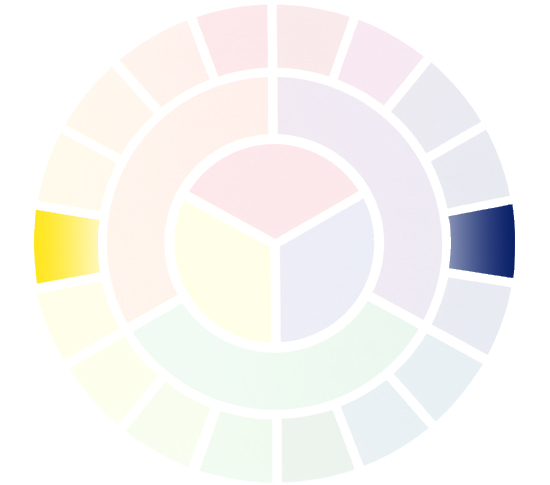 A monochromatic color scheme uses tints and shades on the same color. Using a particular color on your walls, a darker shade of of that same color on your trim, and a lighter tint of that same color on the ceiling is a good example of a monochromatic color scheme. As boring as this color scheme may sound, we tend to use it quite a bit becuase it generally allows other items in the space to become the focus. 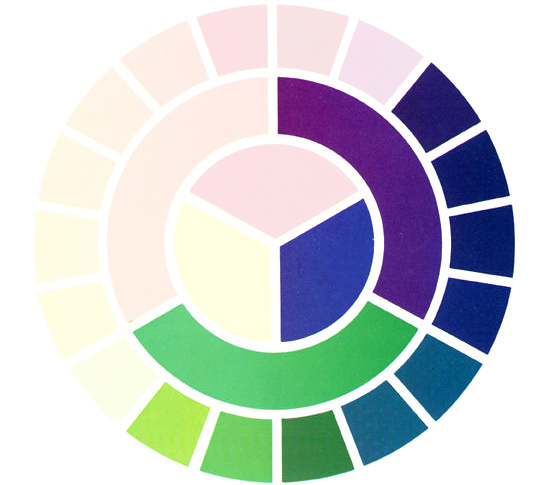 Selecting two colors that are on opposite sides of the color wheel would be a complimentary color scheme. Since I don’t have to work around the colors of somebody’s high school alma mater, I tend so stay away from complimentary color schemes. 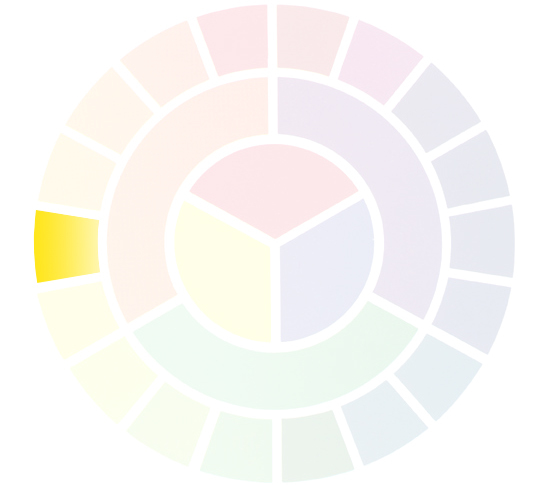 Finally there is the analogous color scheme which uses consecutive colors on the color wheel. This sort of color scheme tends to manifest itself in a combination like room color, couch or chair fabrics, window treatments, etc. Since we rarely have that level of control in a space, this is not a scheme method that I get to use very often (if at all).